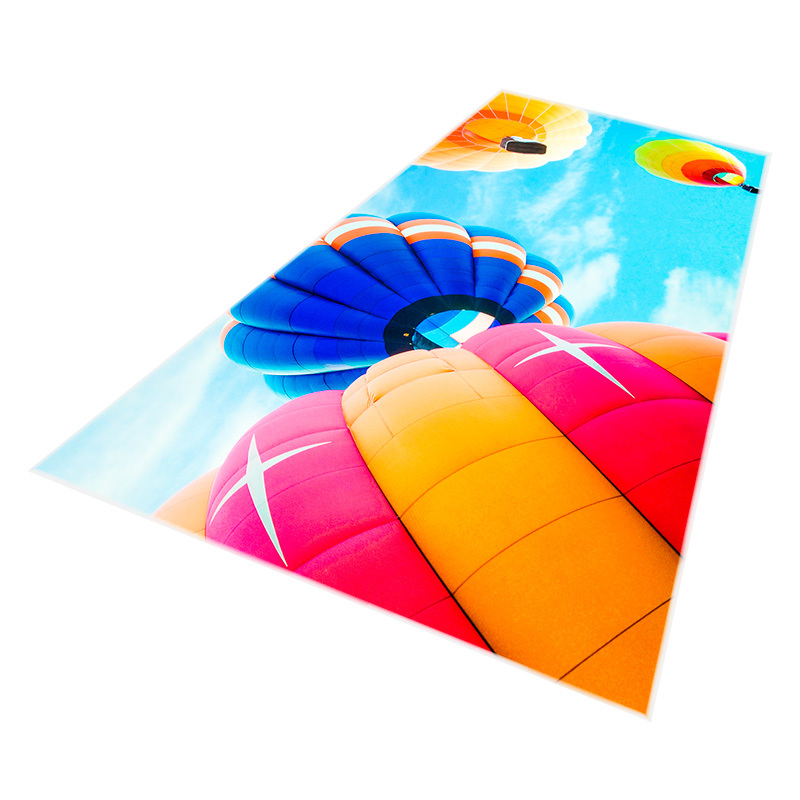 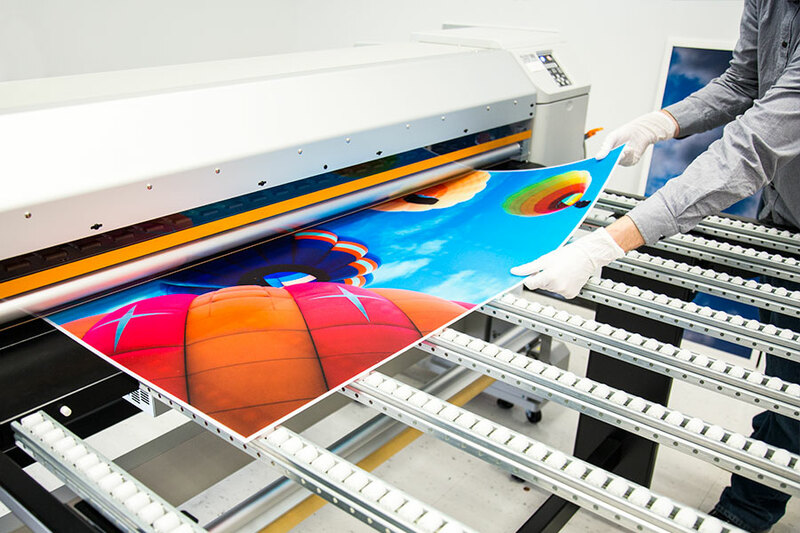 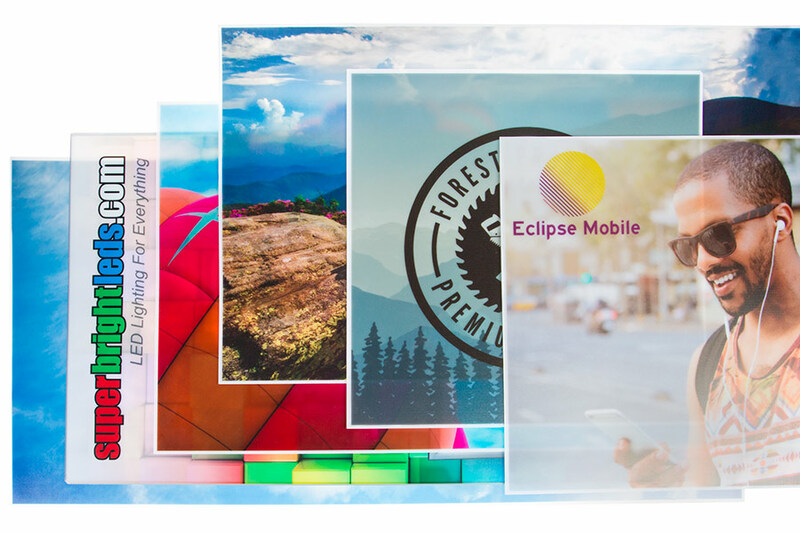 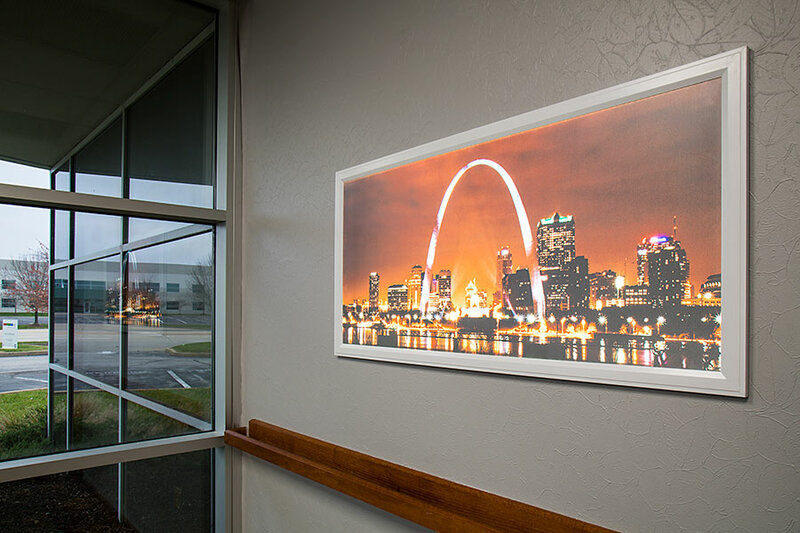 Skylens™ Fluorescent Light Diffuser - Balloon 1 Decorative Light Cover - 2' x 4'': Panel Being Printed At SBL! 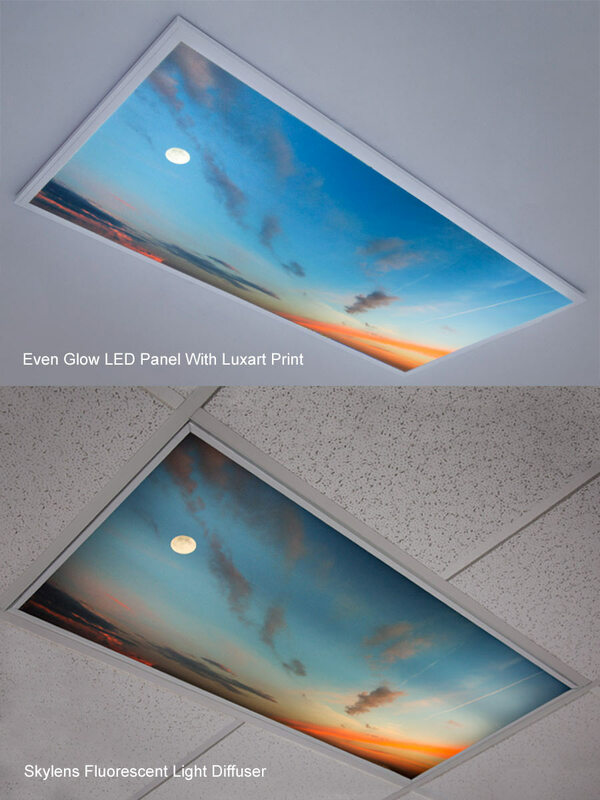 Skylens™ Fluorescent Light Diffuser - Balloon 1 Decorative Light Cover - 2' x 4': Showing Even Glow LED Panel (Top) With Luxart Print Compared To Skylens Print Installed In Standard Fluorescent Fixture. 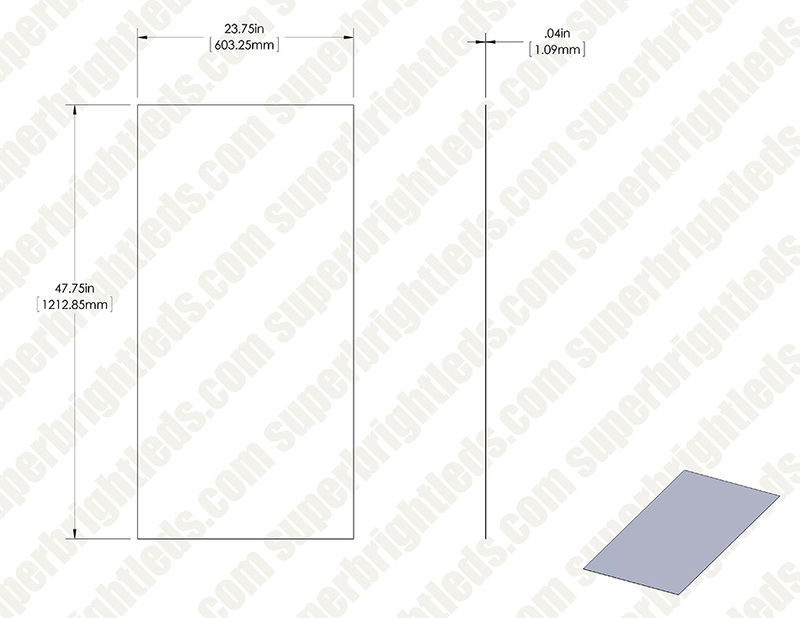 Skylens™ Fluorescent Light Diffuser - Balloon 1 Decorative Light Cover - 2' x 4': Showing Standard Fluorescent Fixture With And Without Skylens. 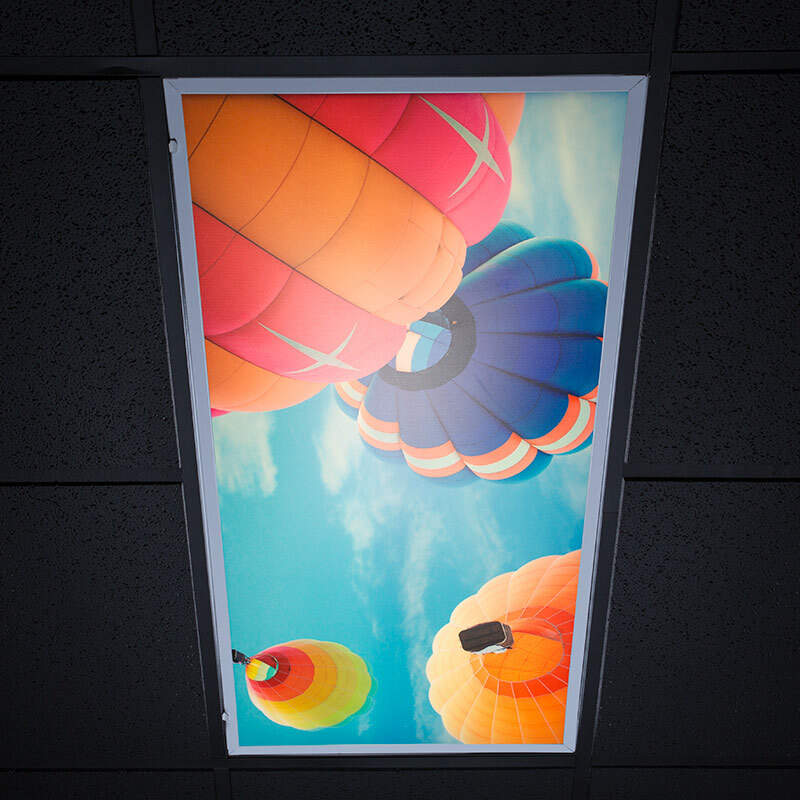 Skylens™ Fluorescent Light Diffuser - Balloon 1 Decorative Light Cover - 2' x 4': Check Out Our Custom Printed Lenses!